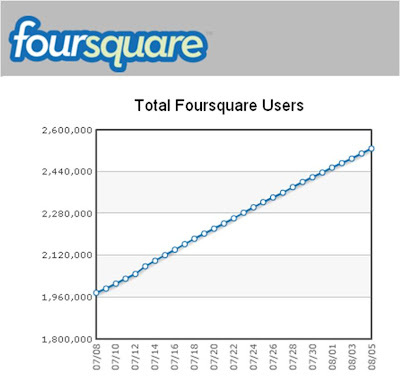 The number of FourSquare users has increased significantly in the last month, showing an increase of 28.5% in the number of FourSquare users according to RJ Metrics. 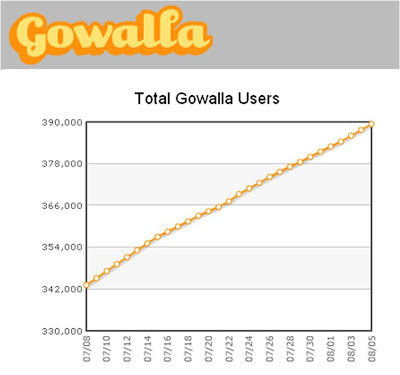 The same RJ Metrics data set also shows rival location based service GoWalla's total number of users increasing - but at a slower rate of 13.8% growth. 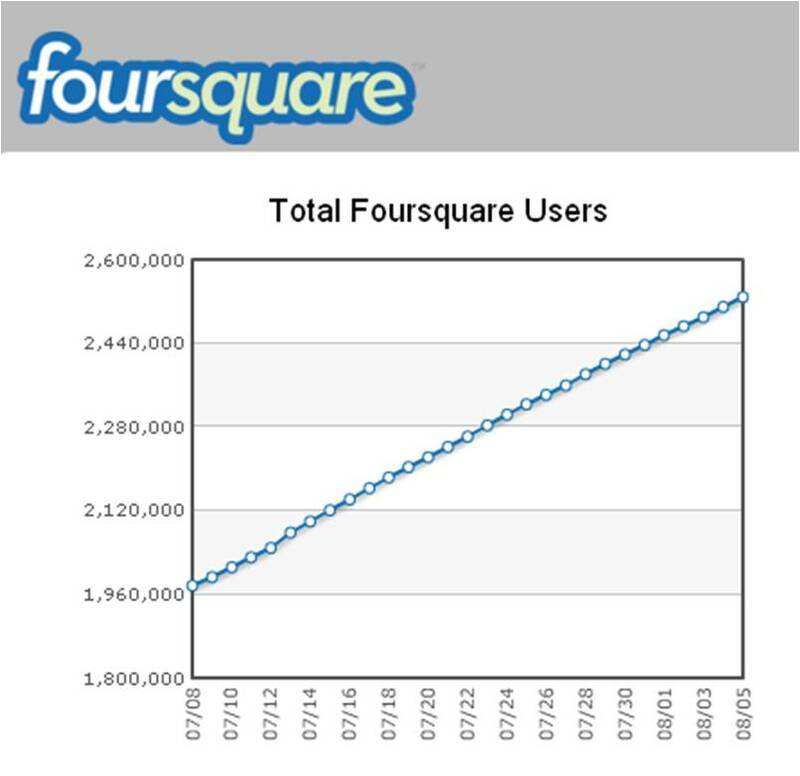 RJ Metrics data is produced using a large random sample drawn from the FourSquare and GoWalla APIs. They explain their full methodology in a post on TechCrunch last month here and give some other statistics too. 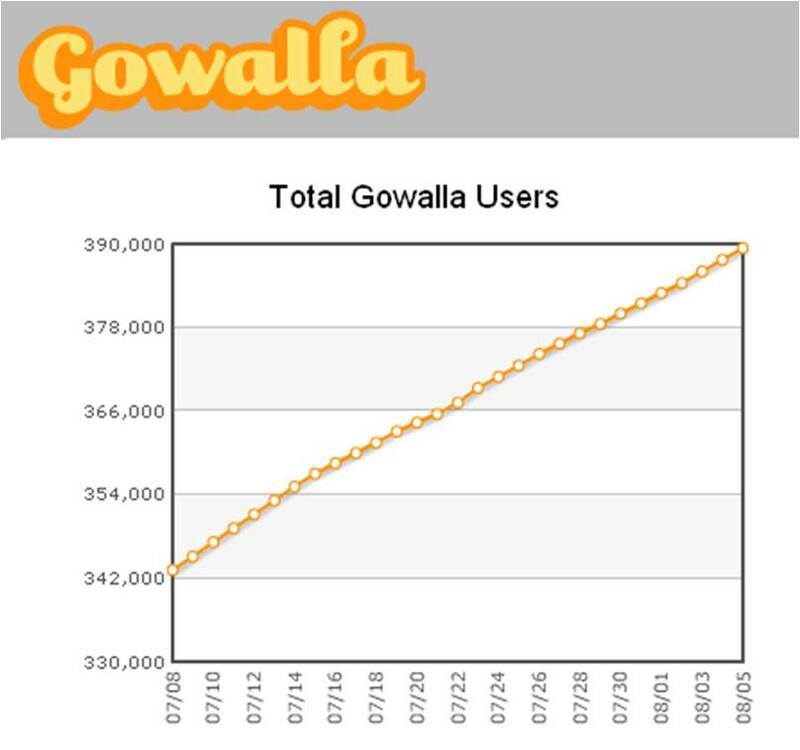 FourSquare is winning the battle against GoWalla, but, even with 28.5% growth, a user base of 2.5m is still small compared to Facebook's 500m! However, the combination of mobile+GPS+social networking is proving popular with users. A number of other players are also springing up in this space (we reviewed a range of them in our ZenithOptimedia Moxie trends video in May) and 'Location' is going to continue to be a key feature in the evolution of mobile. Good stuff. Do you have similar information for BrightKite, Loopt or Yelp?